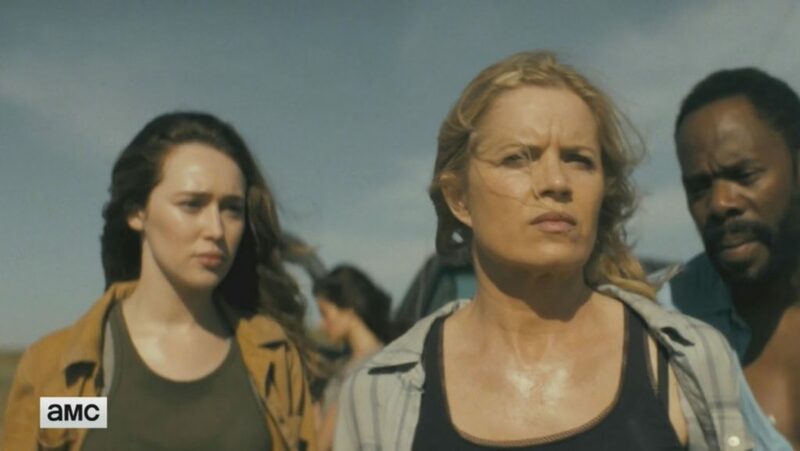 Yahoo TV has posted a new 3-minute preview of Fear The Walking Dead’s Season 2B. The clip shows some new scenes from the upcoming return with commentary by various cast members, showrunner Dave Erickson, and executive producer Gale Anne Hurd. As you know by now, the family has been split into three parts following the events of Season 2A — Madison, Alicia and Ofelia in one group, Travis and Chris in another, and Crazy Nick running off doing crazy things. Hurd says the concurrent storylines, spanning a wide section of Mexico, will make the series feel bigger in scope. Also, we know now the return episode is called “Grotesque.” Make of that what you will. Fear The Walking Dead returns August 21 at 9 on AMC. Be there or Crazy Nick will visit you in the middle of the night wearing just his underpants.